With focus specifically on making a performance binding with absolute ease of entry, the Core boot combines the primary fit and comfort of our Alex Pastor Signature model, with a Velcro closure developed specifically for single hand functionality. 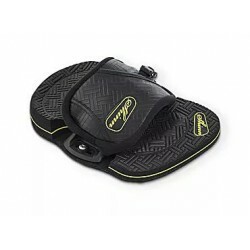 Kiteboarding places specific loads on the boot when compared to a traditional wake boot, the Core Boot has been reinforced in all key areas, such as the toe cap and upper to base plate connection. We worked extensively to fine tune the density and memory capabilities of our foam for our footbed and inner boot. 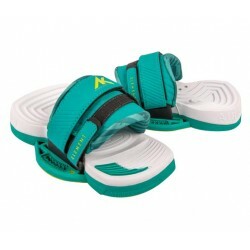 The result is supreme comfort with long lasting performance. 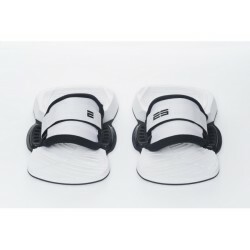 Integrated into the lace closure, the heel lock system keep your foot firmly connected to the base plate, even under the heaviest boosting and landing. 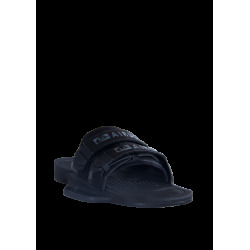 The articulated upper allows us to control the flex between the upper and lower part of the foot. This creates a balance between mobility and support. The dual density footbed creates a soft primary layer that contours to your individual foot shape while the denser secondary layer absorbs the impact from monster landings.